Is classical cryptocurrency the ideal solution for the creation of community currencies? Central governments often prohibit the circulation of regional ‘certificates,’ bills or other forms of money, arguing that these can devolve control over national monetary systems. At the same time, authorities are often unaware of the economic effects of introducing local currencies. The use of a local currency not only stimulates the local economy but also creates stronger ties within that community by increasing social capital. Generally, internal trade through the use of regional currencies is a resilience strategy. It can reduce the impact of national or even worldwide economic crises, and of dependency on international trade (such as fossil fuels, food, etc. ), by enhancing self-sufficiency. Further, the adoption of a local currency increases awareness, among the community members, of the impact of their own economic activity, enabling them to act both more intelligently and to the common good of the local community. Governments’ attitudes toward local community currency projects often change in times of protracted economic downturn and depression. This is precisely when, in fact, governmental “management tools” don’t really help, citizens’ dissatisfaction with declining living standards becoming stronger, and community opinion becomes more demanding. Most examples of regional currencies’ introduction into circulation are relatively contemporary: during the 1920-1930s (i.e., the Great Depression) or in more recent decades (especially after the latest financial crisis and the following recession). The advent of the Internet and blockchain technology, in particular, has brought about new forms of currencies and introduced us to their potential applications. Of course, there are many interesting examples of community currencies, including demurrage in the Middle Ages (10th-13th centuries) and even some in ancient Egypt. However, we won’t explore those historic cases, due to the absence of sufficient economic data, and their incompatibility with modern economics. So we’ll instead consider several examples of practical implementations below. If you don’t want to dig too deep into case studies (since we’ve chosen to cover quite a few), you can skip right to the following section – The new crypto-horizons – to proceed with our overall thoughts. And of course you can always return to the case studies at any time, or research online for even more examples of successful implementations of local and community currencies. Firstly, it’s worthwhile considering an illustrative example of a secondary currency in the Austrian city of Wörgl. In 1932 (during the Great Depression), the economic condition of the city, to put it mildly, was not great. The unemployment rate reached 30% (with the total population of the city about 50,000 at the time), the water supply and other vital infrastructure needed urgent repairs, external debt exceeded the annual income of the city budget, and incomes were falling rapidly due to the fact that people simply did not have anything to pay with. The newly elected mayor, Michael Unterguggenberger, could save the city from its economic catastrophe only by performing a miracle – so that’s essentially what he did. He used the remnant of the city’s treasury of 40,000 schillings (a relatively paltry amount even at that time) as a pledge for the issue of municipal certificates. Certificates, convenient for circulation, were issued with denominations of 1, 5 and ten schillings. The certificates’ validity period was one year. At the end of its term, it could be exchanged for Austria’s national currency. At the end of each month, holders had to buy and attach a special stamp (that cost 1/100 schilling), or the certificate would be considered invalid for future use. This system encouraged continuing exchange of funds, rather than the freezing of funds that accumulation represented. Municipal currency could be used as a means of exchange, to pay local taxes, or other everyday functions. The certificates were used by the mayor to rebuild the city, and “Wörgl’s economic wonder” began. People who received the first schillings in the form of wages were motivated to use them immediately because holding them would eventually result in the loss of their value. So the local economy received a huge kick-start since the rate of circulation of the local currency exceeded that of the national currency by a factor of ten. The water supply of the city was restored, new sewerage infrastructure, roads, and a new bridge were built, municipal buildings were re-painted, and other projects were implemented. Unemployment was almost completely eliminated. The entire municipal tax arrears were repaid. Moreover, people started to pay taxes in advance. In just one year Wörgl became the only city in Austria with full employment. Its example raised immediate interest in 300 other communities all over the country. Throughout Europe, the press breathlessly covered the “economic wonder.” But shortly following the publicity, the experiment was shut down by the Central Bank of Austria, which demanded its exclusive monopoly on printing money. The City of Curitiba’s story shows how the introduction of an additional currency helped an extremely poor city in Brazil to launch unused reserves and, with creativity, resolve serious obstacles to improving the environment, creating jobs, and rebuilding the city. The biggest challenges in Curitiba were poverty, unemployment, and garbage. The population grew from 120,000 in 1942 to 2.3 million in 1997. A significant proportion lived in favelas, slums with chaotic houses made of cardboard and sheets of scrap metal, which garbage collection trucks were unable to enter. This led to the spread of unsanitary conditions and epidemics of diseases. There were simply no funds to even contemplate the obvious solutions, such as purchasing equipment for street repairs and upgrades. Meanwhile, the region was blessed with extremely fertile lands and an underutilized public transit system. A solution was eventually found: garbage cans were installed on the outskirts of favelas. Anyone who deposited garbage was given a special plastic chip, which served as an additional local currency. These could be used as a bus fare or exchanged for locally grown vegetables or fruits. In a short time, Curitiba was cleared of garbage by tens of thousands of children. Adults, meanwhile, had the opportunity to travel around the city to access work. Curitiba’s GDP per capita has grown by 75%, more than the state’s average, and 48% more than the Brazilian average. The unemployment rate has been slashed. Environmental rehabilitation and urban rejuvenation programs were successfully initiated and implemented. These results were all achieved without state subsidies or attracting external loans. In 1990, the city was awarded the United Nations highest environmental prize. Another example of unusual solution-seeking in Brazil is the Saber sectoral currency, which is directly tied to education. With 40% of the country aged under 15 years, Brazil has major challenges in the education sector. When the telecommunications industry was privatized, the government charged a 1% toll on mobile phones for educational purposes. As a result, an education fund of 1 billion US Dollars, or 3 billion Brazilian reals, was formed in 2004. But what to do with all this money? In 2004 Professor Bernard Lietaer proposed the introduction of a voucher system called “Saber” to increase the number of students who could afford higher education. Sabers would be nominated 1:1 with the Real, but could only be used to pay for higher education. And as it would lose 20% of its value per year, no holder would accumulate it. This model works ten times more efficiently than a direct redistribution of the money into the education sector. Vouchers are issued to the youngest schoolchildren (seven years old), provided that they have engaged a tutor from a senior class to help them improve their weak subjects. The Saber loses 20% of its value each year. The Saber flows through grades until it reaches the most senior, where 17-year-old students have the opportunity to partially pay for their high school education with it. Chiemgauer was one of the first regional currencies to achieve wide-spread recognition in Germany. Chiemgauer were introduced in January 2003 by high school students from the Waldorf School in the City of Prien am Chiemsee, overseen by their economics teacher Christian Gelleri. The first users of this regional currency were the students themselves and their parents. Today, more than 600 businesses in the Rosenheim and Traunstein districts use Chiemgauer. Since 2006, Chiemgauer (Elektronischer Chiemgauer) has been available in electronic form using a plastic card, so depreciation is calculated automatically. Any community member can buy Chiemgauer using Euros, at a 1:1 rate, in 40 issuing offices (banks and special institutions in the region). A community member can buy goods and services in stores and at institutions that accept Chiemgauer. Business owners can use the currency within the region (to pay salaries or buy local raw materials), or exchange them back into Euro. Chiemgauer has a structure encouraging circulation. Every three months it loses 2% of its value (or 8% per year). This forces people to spend Chiemgauer more quickly. When the three-month term expires, a stamp is affixed to a Chiemgauer note (which costs 2% of the face value of the note). Without the stamp, a Chiemgauer note is not valid. Six months after issuing, there must be two stamps, three stamps after nine months; and a year later, the entire banknote will be replaced with a new one with a different design. In the electronic system, the depreciation is automatic. 100 Chiemgauers can be exchanged for 95 Euro (i.e. with a 5% commission). 2 Euros go to the administrative service of the regional monetary system for the printing of Chiemgauers, validation stamps, and so on. The remaining 3 Euros is donated to the local non-profit groups that originally dispensed Chiemgauers. Significant stimulation of local business cycles. Local stores prefer to buy local produce and goods, which can be purchased with Chiemgauers. Donations to local non-profit organizations of around 350,000 Euros. The success of the project has encouraged other communities to introduce local monetary systems, parallel to the Euro. As a result, there were about 30 local currencies throughout Germany by 2008. WIR is both an abbreviation of the German Wirtschaftsring (“economic circle”), and the “we” pronoun. The project was founded in 1934 as a mercantile co-op. According to their charter, WIR aims “to increase sales volume by creating additional purchasing power within the organization”. WIR argues that, in times of crisis, its activities curtail economic downturn and stabilize the Swiss economy (although some economists argue the point). To date, membership has reached 62,000 enterprises, and annual turnover exceeds 6 billion Euros. WIR Bank has created a credit system that allows customers to issue loans in WIR-equivalent. The credit lines are provided by the participants’ assets, which form the guarantee. Transactions are purely cashless and only within the co-op. The system reduces the need for usage of the Swiss Franc and allows purchases of goods and services needed in the future. Sardex is a regional B2B lending system that was launched in Sardinia in 2006. It’s a network that allows Sardinian small- and medium-sized enterprises to carry out commodity transactions by crediting each other in a special local currency unit (Sardex Euros), thus avoiding cash payments in the national currency. In 2017 the volume of Sardex operations exceeded 100 million Euros, and more than 9000 businesses participated in the network. The project is focusing on improving the local economy, as an answer to global, national, and local economic problems. Sardex loans have the particular objective of supporting local business in Sardinia. How does it work? By crediting businesses’ forward purchases. For example, a dentist can provide services to a member in the form of Sardex credit, after which he can use that credit for purchasing food in a grocery store. That grocer, in turn, can pay a member to renovate his store. Thus, Sardex closes the economic cycle without using money, and without paying interest. Sardex is a hybrid form of money: it’s both e-money and a local payment system that is used only within the region (currently, several regions of Italy and France have joined the project). SamenDoen is a fully electronic regional community currency program that’s currently operating in the Dutch municipalities of Tholen and Bergen op Zoom. The aim is to encourage citizens to become active in their community and simultaneously to support the local economy. This regional currency incentivizes people to buy local products, to actively participate in the local community, as well as to maintain their neighborhood as a clean and safe place to live. SamenDoen is self-financing. The program does not require any external funding. It efficiently utilizes participants’ savings and allows for a more effective yet cheaper provision of services through the efforts of volunteers, with the involvement of local businesses. The loyalty system: buyers earn SamenDoen points as a reward when purchasing from affiliated retailers. SamenDoen points can be redeemed at the same network of affiliated retailers for purchases. This helps sellers to attract new customers, maintain their loyalty, and engage them to purchase more, or more frequently. By earning the points for themselves, consumers also earn them for a local association of their choice (such as their sports club, youth group or a local charity), which happens automatically when they make their purchase. The reward program: non-commercial organizations including municipalities, housing associations, care and welfare institutions, schools etc. can grant the SamenDoen points as a reward to individuals for performing socially relevant activities that improve the vitality and cohesion of the community. These activities can be very diverse: assisting the elderly, participating in a community clean-up day, organizing a community event, etc. The sharing economy initiative: SamenDoen points can also be transferred at a peer-to-peer level between individuals for mutual help and assistance activities. Participants can, for example, pay their peers for minor maintenance work, helping with homework, assisting with tax returns, ride-sharing, or any other tasks. This strengthens the links between people, improving self-reliance and social cohesion. The Bristol Pound is a local and community currency launched in 2012 with the aim to “improve Bristol’s local economy.” It follows several other regional currencies successfully launched in the UK: Totnes (2006), Lewes (2008), Brixton (2009), and Stroud (2010). The Bristol Pound was created as a joint non-profit enterprise of Bristol Credit Union and Bristol Pound Community Interest Company. The idea is to keep circulation within the area; for example, local shops can spend their Bristol Pounds to buy locally grown products. A local farm, upon receiving those Bristol Pounds, can spend them to buy local services, and so on. In this way money continues circulating to benefit local independent businesses in the area; this concept is known as the local multiplier effect. In contrast, if a consumer spends the UK national currency at a supermarket chain, more than 80% of the money will immediately flow out of the locality. 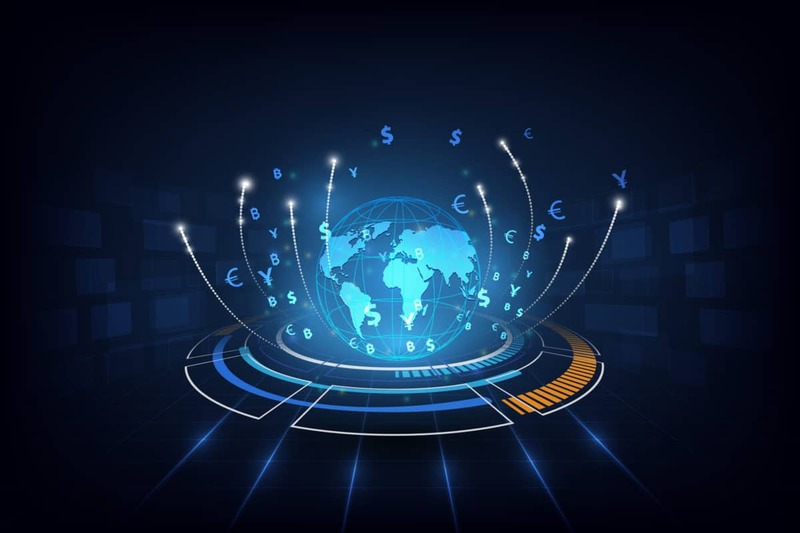 Usage of a local currency increases cash flow between businesses that use the currency and substantially stimulates regional economic development. Account holders can convert Bristol Pounds to and from pounds sterling at a 1:1 ratio. Both paper and electronic versions exist. Bristol City Council, among other organizations, offer their employees the option to take part of their salaries in Bristol Pounds. Former mayor George Ferguson accepted his entire salary (£51,000) in the local currency. Bristol is the first city in the UK in which taxes and business rates can be paid in a regional currency. Some businesses apply discounts for customers paying in Bristol Pounds. Electricity bills can be paid with Bristol Pounds online. Since June 2015 energy bills can be paid in Bristol Pounds to the 100% renewable energy provider, Good Energy. The company’s CEO has claimed it as a world first for paying energy bills using a local currency. By June 2015, according to the Bristol Pound CEO, about £1 million had been issued in £Bs, with more than £B700,000 still in circulation. More than 800 businesses accept Bristol Pounds and more than a thousand users have a Bristol Pound account. The Bristol Pound contributed to the city being awarded the title of European Green Capital 2015. SoNantes was launched in 2015 by the Crédit Municipal de Nantes across the entire area of Greater Nantes, France, and runs alongside the Euro with the objective of stimulating local economic development. The currency is fully electronic and allows both B2B and B2C transactions. Local businesses can exchange goods and services with each other using the currency. Similarly, citizens have access to a large variety of goods and services from local retailers, service providers, and cafes. This enables both businesses and consumers to save on their Euro expenditures and helps strengthen the local economy. Overall, the idea and implementation are quite straightforward. The Makkie is a reward scheme in the Makassar Square (Makassarplein) neighborhood, part of the Amsterdam East District. The purpose of the Makkie is to encourage local inhabitants to take an active role in their community and to improve the quality of life in the area. Although most parts of Amsterdam’s East District have undergone urban renewal, the Makassar Square neighborhood needed extra assistance to overcome high unemployment, crime, and other problems related to low income, low educational achievement, and cultural diversity. The municipality, housing corporations, and local residents joined hands to improve the neighborhood by empowering civil society. As a rule, one Makkie equals the value of one hour of work. Local residents are rewarded with Makkies when they actively contribute to their neighborhood or when helping out their neighbors on the request of the municipality, housing corporations, welfare institutions or professional organizations – quite similar to the SamenDoen. Makkies can be redeemed for goods and services at local shops and organizations. This may entail entrance to the cinema, museum, or swimming pool, a significant rebate at local independent traders or a subscription at the library. Participants of the scheme are encouraged to trade amongst themselves as well. For example, babysitting, administrative help, etc. can be paid in Makkies. As we see, communities throughout history and all over the world have tried to use local currencies to improve local economies’ and communities’ well-being. They’ve managed it even when without any options other than printing paper notes or minting metal tokens. Imagine the possibilities that the advent of cryptocurrencies has opened up in recent years. It may seem that communities have yet to take up this technology, but it’s only a matter of time before the potential of cryptocurrency is noticed. Nowadays, it’s fairly easy and cheap to launch a proprietary token or cryptocurrency. Cryptocurrencies promise greater reliability, stronger security against any forgery or fraud, and more transparency as well. Being programmable money, cryptocurrencies have a unique capacity to serve a particular community’s needs. As we’ve seen from the examples above, local currencies have many more programmable features than typical national currencies. Currency issuers would once have had to deal with special stamps or other media of exchange (including the periodical re-printing of the entire supply) to certify validity, manage value reduction over time, deducting any commissions, etc. Cryptocurrencies allow the issuer to easily program these, along with even more complex and specific features, enabling rigor and even automation. This opens new horizons for community currencies. Nonetheless, launching and supporting a classical cryptocurrency can be quite challenging in terms of technical skills and resources, (let alone costs), albeit probably still cheaper than printing and administering an entire supply of circulating notes or stamps. It’s necessary to possess a degree of technical expertise that some communities might not be able to access. Fortunately, projects like Ethereum, EOS, or the GEO Protocol which is now undergoing pre-launch phase, are available to help. It’s possible to create a crypto token with ready-made tools, a user base, and infrastructure. No initial investment is necessary: either into printing and handling or into building and maintaining dedicated server infrastructure and coding. That drastically reduces both the entry and maintenance costs for local currency creation. With the aim of this sort of solutions, you are able to tokenize literally any community asset. This could include funds denominated in national currency, a physical asset like land or a plant, or even another cryptocurrency (like Bitcoin), etc. Tokenizing simply involves the issuing of crypto equivalents (cross-units) of an asset that in turn serves as backing for their value (i.e. could be exchanged for it at some point of time). Just as the mayor of Wörgl did with the Treasury’s remaining 40,000 Austrian schillings when he issued his own municipal currency, using those national currency funds as backing. It’s also possible to create an unbacked cross-unit that is not guaranteed by any external asset. In this case, the local currency unit will be an entity in itself, without any external relationship (similar to fiat money) — purely an abstract representation of value. This kind of accounting unit could also be used to meet the needs of a particular community. There are already more than a thousand different kinds of ancillary and local currencies in the world. And, due to the global economic recession, their number is constantly increasing. Should we continue to pursue classical economic stimulus, hauling in money in the form of taxes, central government subsidies and external borrowing? Or should we give a proven alternative a chance, and create our own economic wonder in the process? Distributed technology, thanks to innovative tools, flexibility, reliability, transparency, and other features, can be a crucial aid to the generation and adoption of local communities and regional currencies. Previous articleTron [TRX] Price Analysis: Can Tron Continue its Bullish Movements? CEO of GEO Protocol. Max has intensive experience in the field of real business (as an owner of one of the national retail chains) and trading traditional and crypto markets. A payment tools expert, his financial education allows him to analyze and predict the current situation, and develop new disrupting products for the future. An ideologist and visioner of the decentralized credit network and economy.